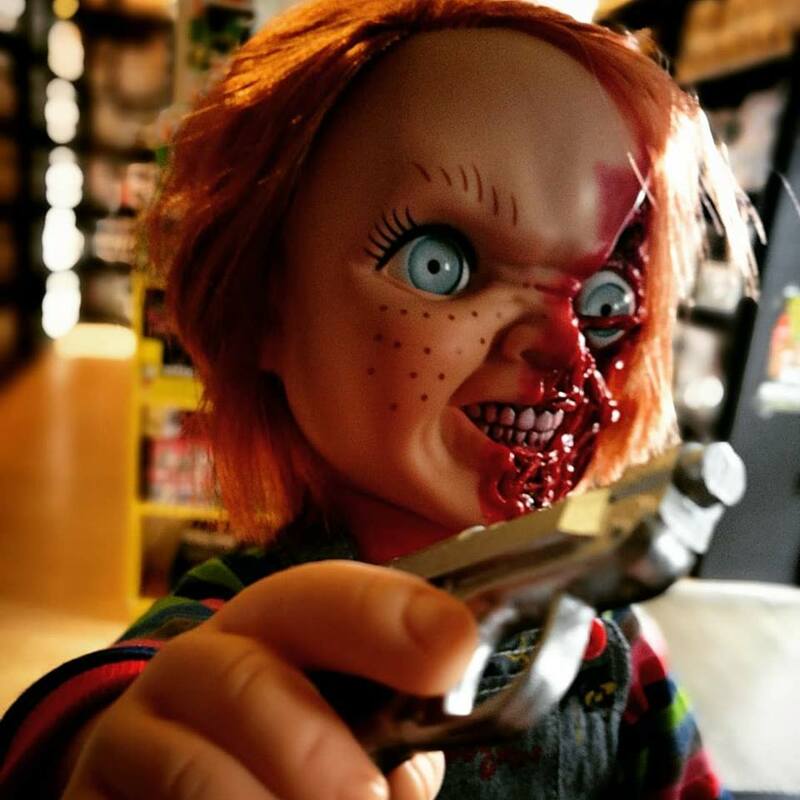 Chucky has been revived! Due to a mishap at the Play Pals factory, Chucky has been given a new lease on life and a new opportunity to take over an unsuspecting soul. 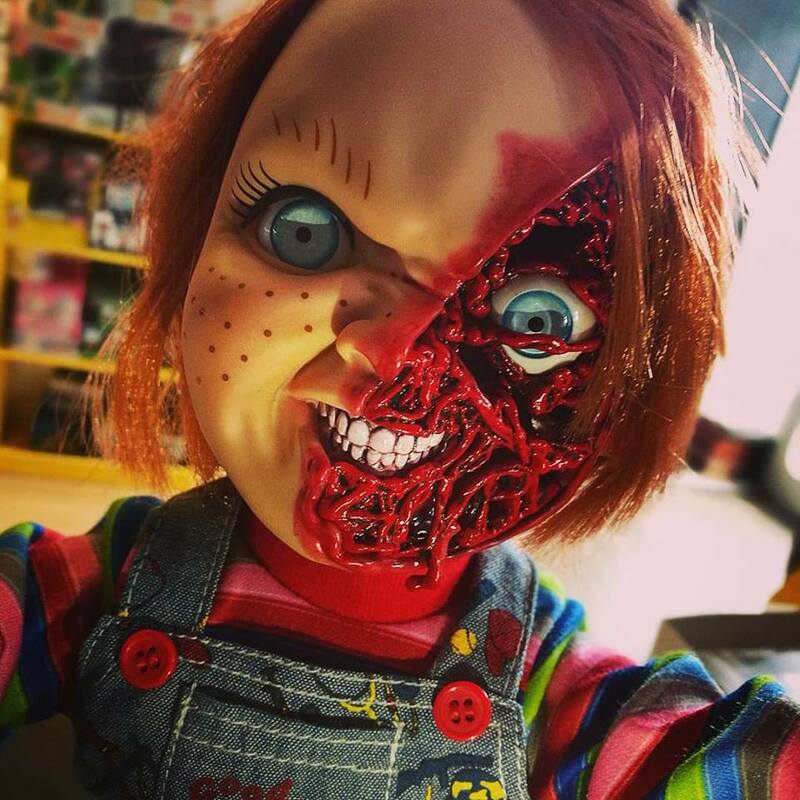 The Mezco Designer Series Talking Pizza Face Chucky features an all-new head sculpt, depicting Chuckys mutilated face after a run in with the Grim Reapers scythe in the Devils Lair. 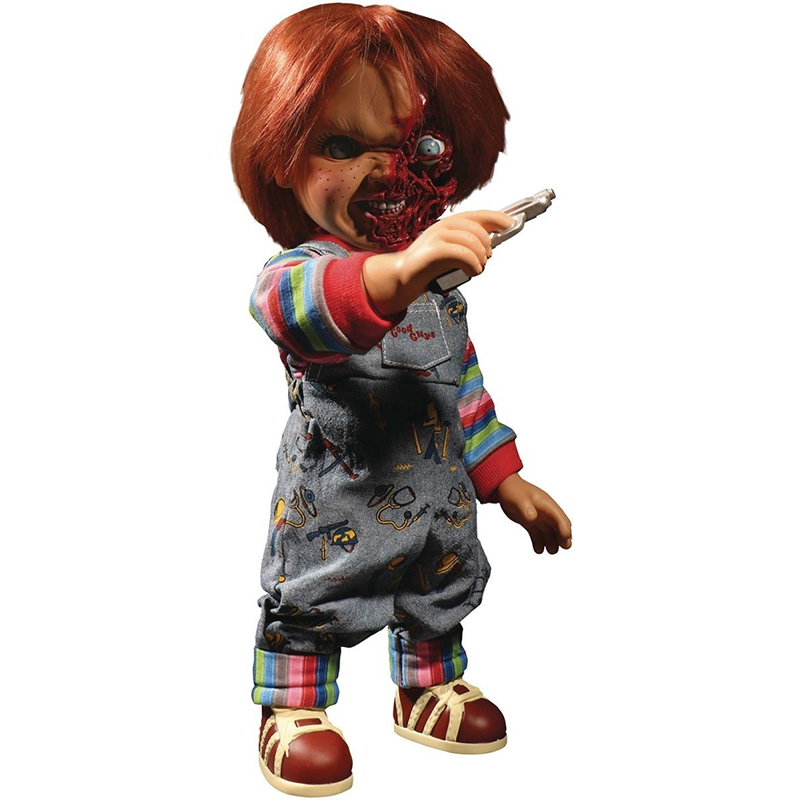 Just as he did in the films, Chucky has lots to say from his trademark Hi, Im Chucky, and Im your friend till the end!, to far more sinister phrases. Sporting his signature Good Guys overalls and stripped shirt, Chucky features 11 points of articulation, his trademark orange hair, and realistic glass eyes. He comes complete with a gun that fits neatly into his right hand. The Mezco Designer Series Talking Pizza Face Chucky stands 15″ tall and comes packaged in a collector-friendly, film-inspired window box. Arriving in our stores now! Contact your closest store for availability!